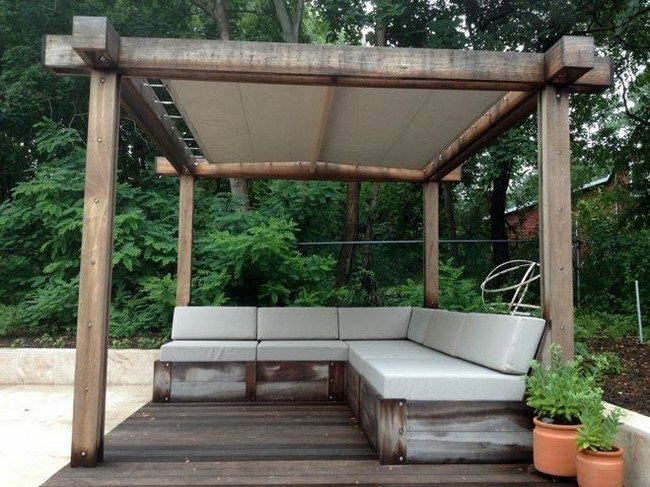 This pergola has a simple design to it, with a wooden floor and seats, which have white cushions for extra comfort. 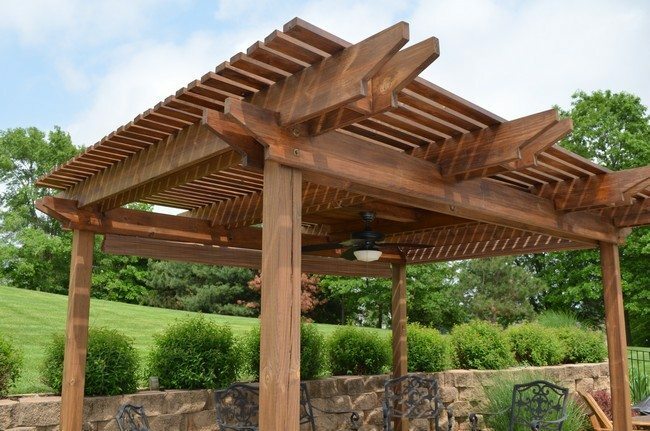 This pergola has an official look to it, judging by the furniture. It is perfect for studying or working while home. It has a small pond at the side, creating a joyful mood. 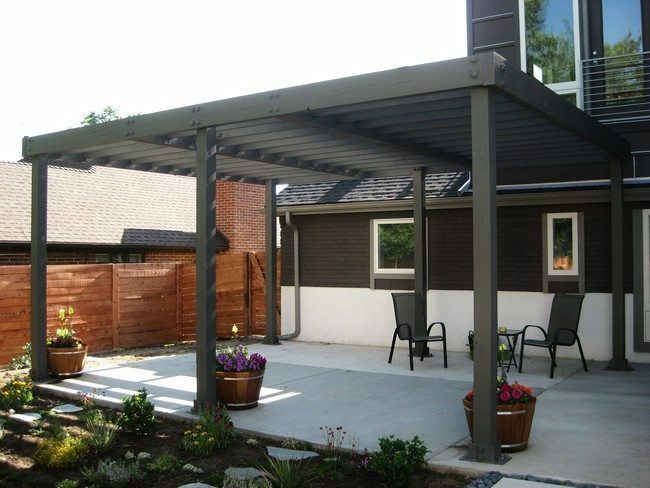 This modern pergola is elevated and is painted in bold colors, together with the furniture. 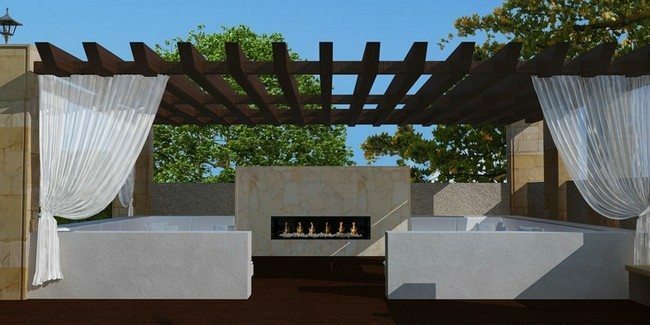 This pergola has an elegant design to it, with stone walls and an attractive stone floor in natural colors. 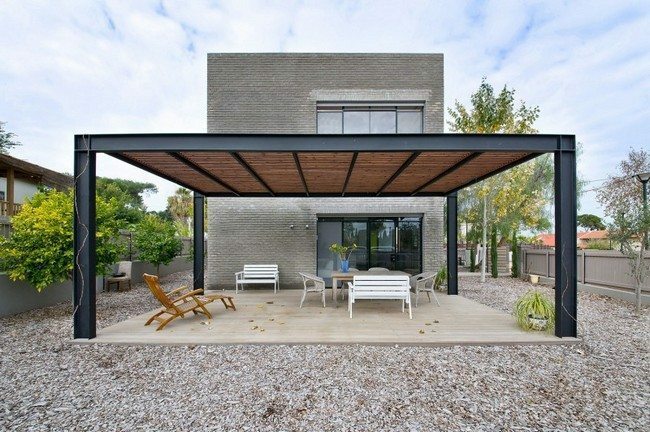 For this home, the pergola has been erected on the patio. 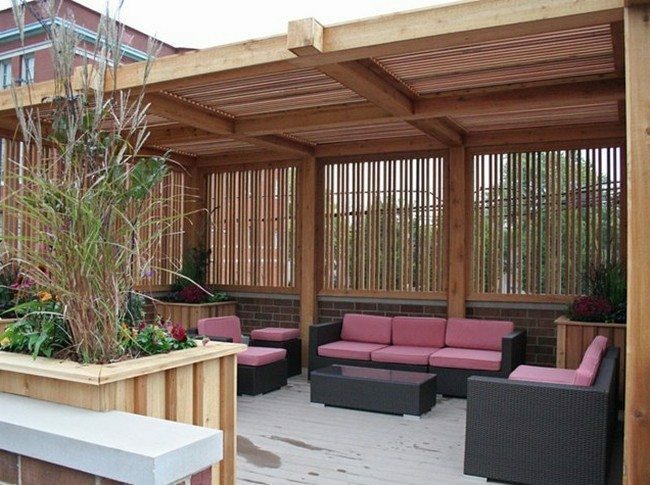 This pergola has couches with pink cushions. The pink color adds life and catches the attention of the onlooker. 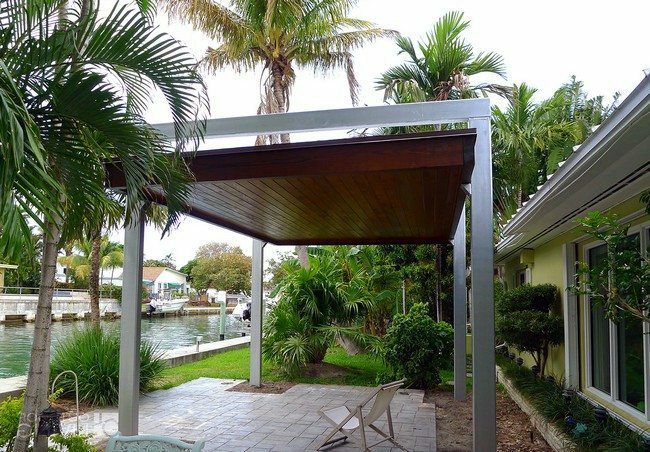 Erecting a pergola next to the pool is also a smart idea. 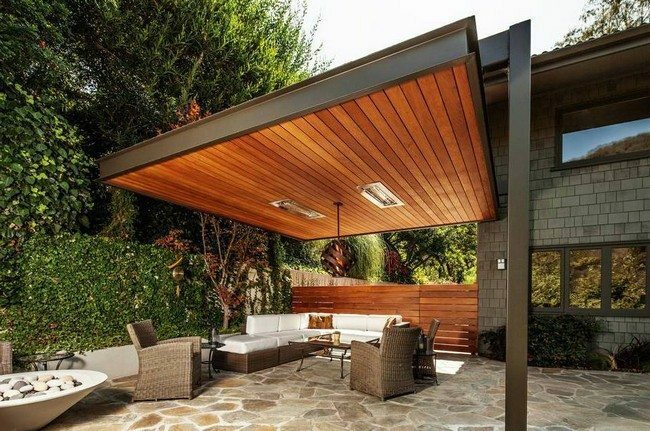 The roof of this pergola can be taken down or left intact depending on the owner’s preference. 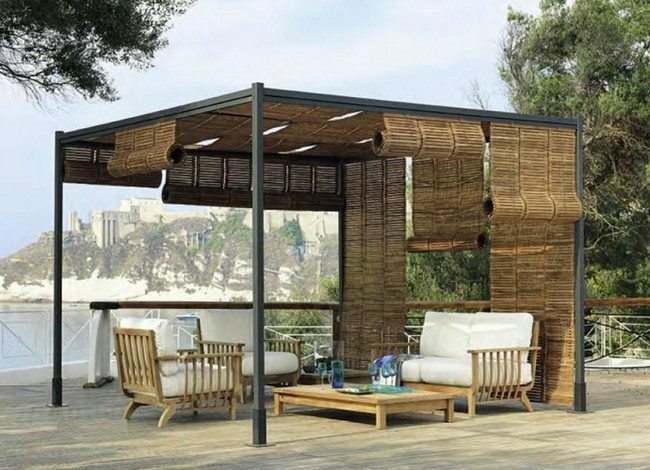 The wall screening can be pulled down to provide privacy or left up to allow entry of fresh air and the cool breeze. 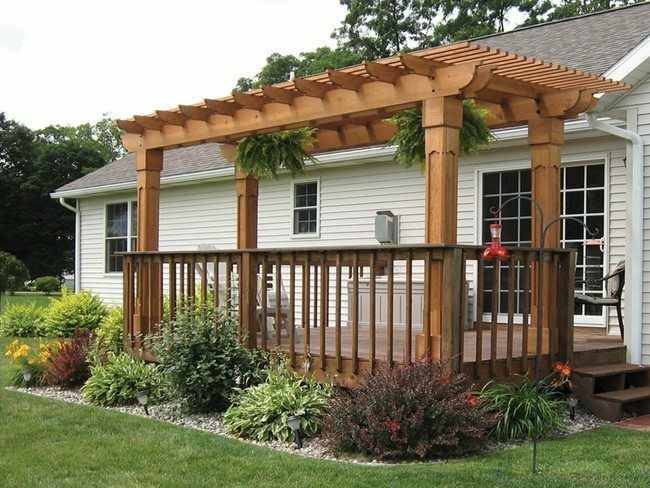 If you have ample space, make use of it and construct a large pergola. 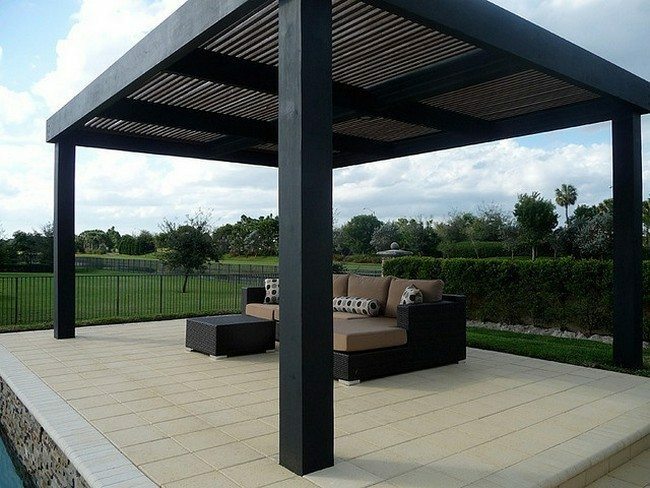 Add patio furniture for a fully eye-catching view. 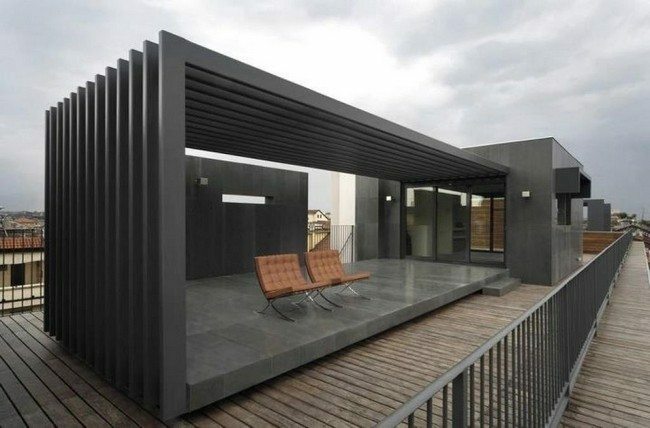 This home has a balcony which also doubles up as a pergola. Its design is simple, without much detail. Flowers have been grown on the exterior to spice up the look. 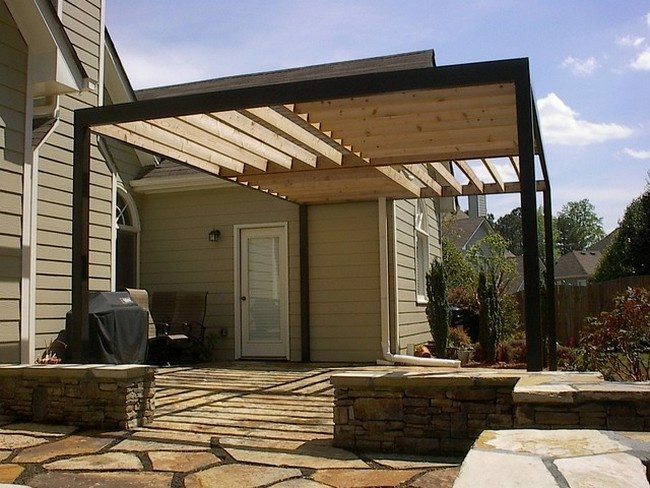 This design is perfect for people who want pergolas but have limited space. 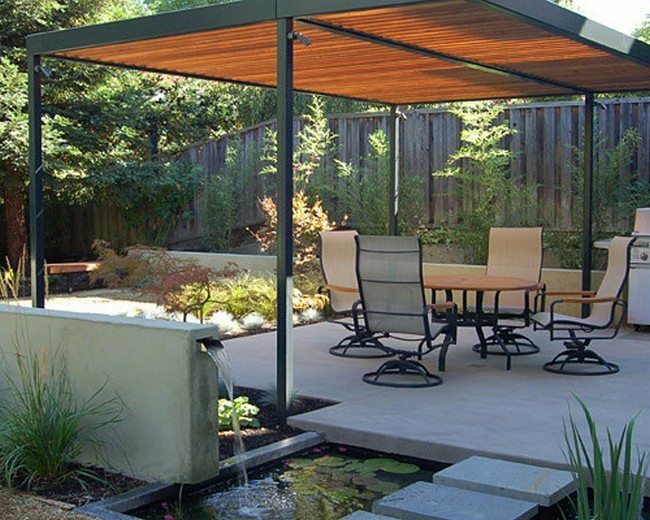 The location of this pergola is just perfect, offering the full view of the trees and sloping landscape. 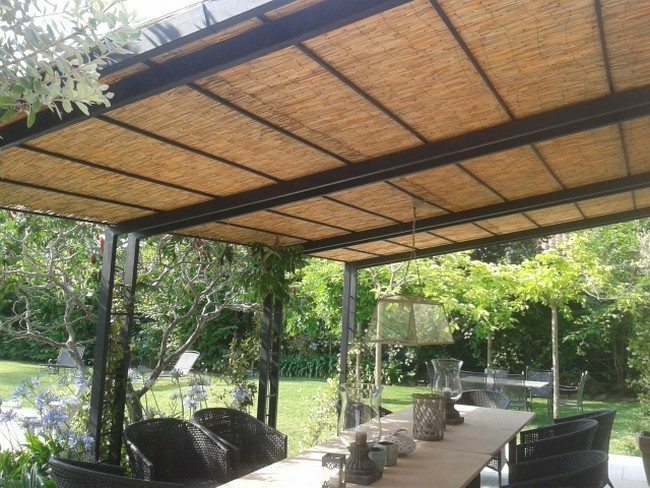 A contemporary pergola with flowers and bright furniture as accessories.